UPI determines the presence of subsurface utilities and structures on your site and marks the horizontal location within 2’ on the surface for mapping purposes following the ASCE Quality Level B standards. Our job does not end after mapping the field. Once we locate and map the onsite utilities, we take the information back to the office and create a deliverable in the file format of your choice. 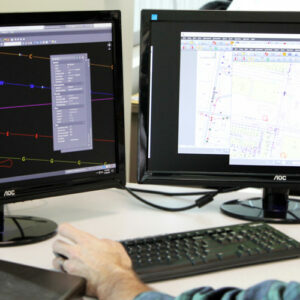 Your project manager can then overlay this map on their own site plan. This provides yet another level of accuracy to keep your projects on schedule and conflict-free. 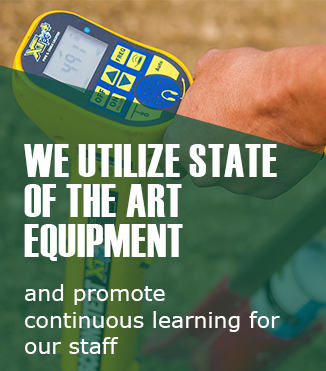 When to use this service: Prior to the start of construction to provide a comprehensive map of all the underground utilities, as well as during construction. 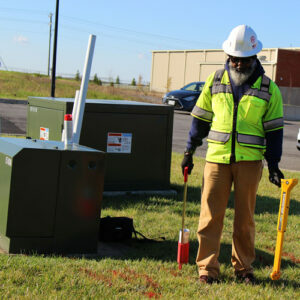 UPI investigates the site for visible above-ground utility features, such as manholes, vaults, pedestals, and utility poles following the ASCE Quality Level C standards. When to use this service: During feasibility of the preliminary phase of a project and you need to know what above-ground features could be a potential conflict for a building expansion, especially in areas that are not developed. UPI identifies the utility companies and service providers who may have facilities within the project limits, initiates contact with the utility company to research the extent of facilities, and provides research and document retrieval following the ASCE Quality Level D standards. When to use this service: UPI provides value to every project. 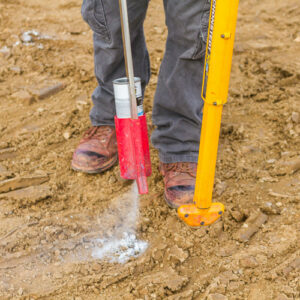 This service is preliminary work when you want a general idea of what companies’ utilities are in the ground. UPI already has established relationships with local utility companies and can obtain plans rapidly.